What if someone could shop for clothes for you? Well, now this is possible (and affordable) with Stitch Fix! 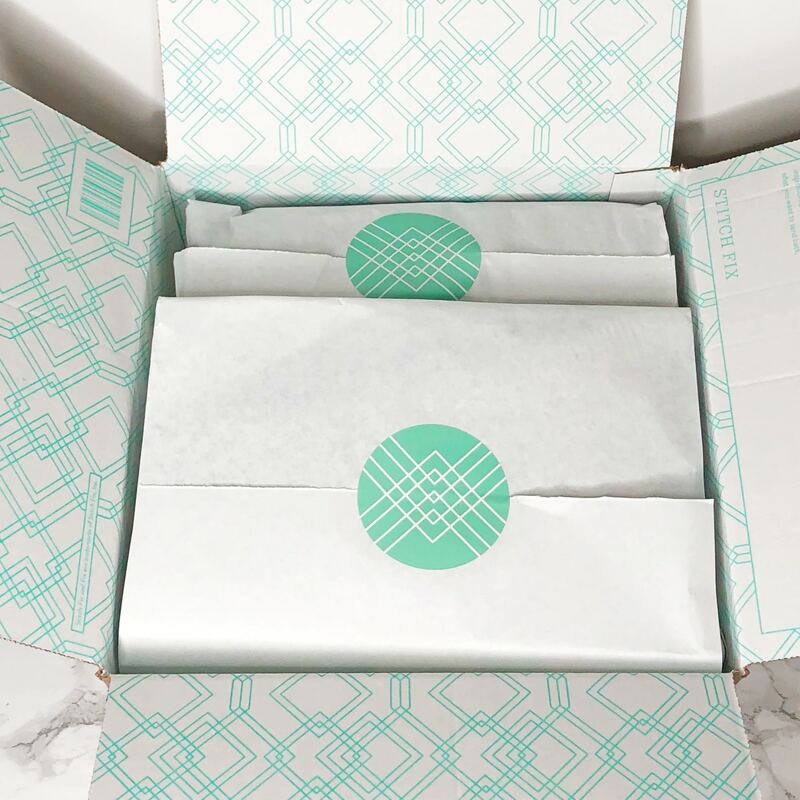 This clothing subscription box provides each subscriber with their own personal stylist. In each shipment, you receive four clothing items and one accessory to try on from the comfort of your home. Then, you decide if you want to purchase any of them and easily return what you don’t want. They provide a free, pre-labeled mailer bag to send everything back in. Their subscription is easy and flexible—you can opt for monthly, bi-weekly, weekly, or even on-demand shipments. The only fee they charge is a $20 styling fee per shipment, which is applied as credit towards anything you purchase in that shipment. Unfortunately, this fee doesn’t roll over and is nonrefundable if you decide not to purchase anything. However, you can see how to try your first fix for free near the end of this review! 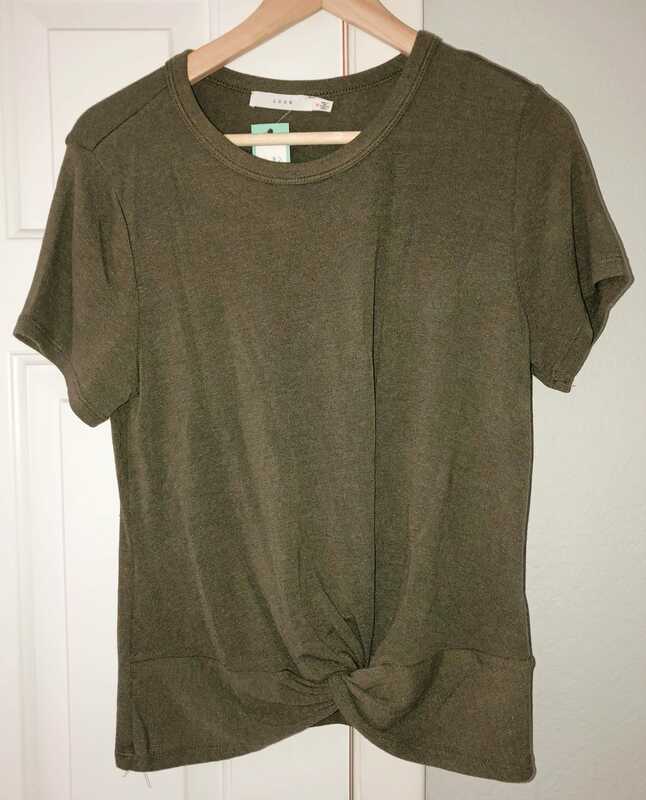 That said, this Stitch Fix review will share the clothing and accessories I received this month! You can never have too many tops. This shirt from LUSH is adorable! It’s similar to a striped knotted crop top that I received in one of my previous Stitch Fix boxes. The color is a dark green shade though, which I liked much more than the other top. It’s a little pricey to keep, but I really liked it, so I’ll probably be keeping it. This clutch bag was pretty cute! It was light grey with a beaded design. 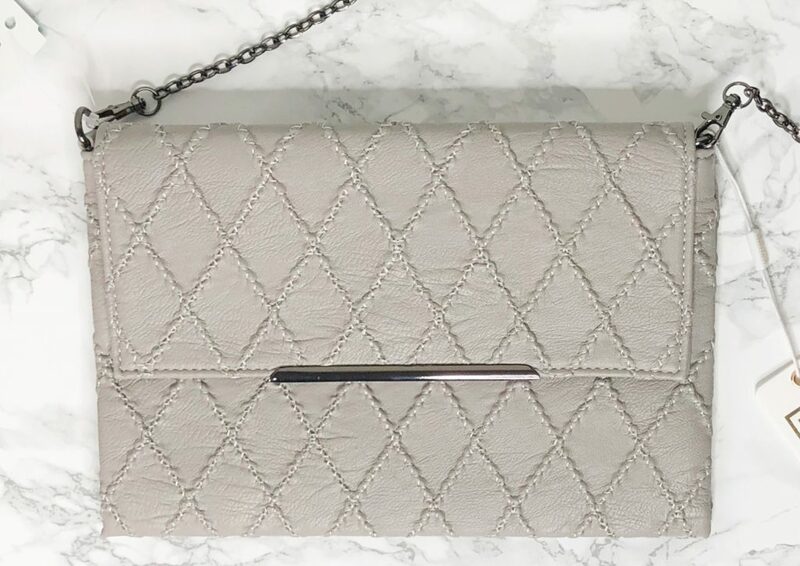 It came with a chain, so you can wear it as a crossbody, which I like much better than just a clutch bag. This would spice up any outfit! I don’t need a new bag at the moment, but if I did I would’ve definitely purchased this one. I’m glad that this pair of jeans was included in this Stitch Fix shipment. In my opinion, jeans are the hardest clothing item to shop for! It’s overwhelming to walk into department stores and see hundreds—sometimes even thousands—of extremely similar looking pairs. I think it’d be great to have a Stitch Fix for jeans so you can try on a few of them each month and keep what you like. 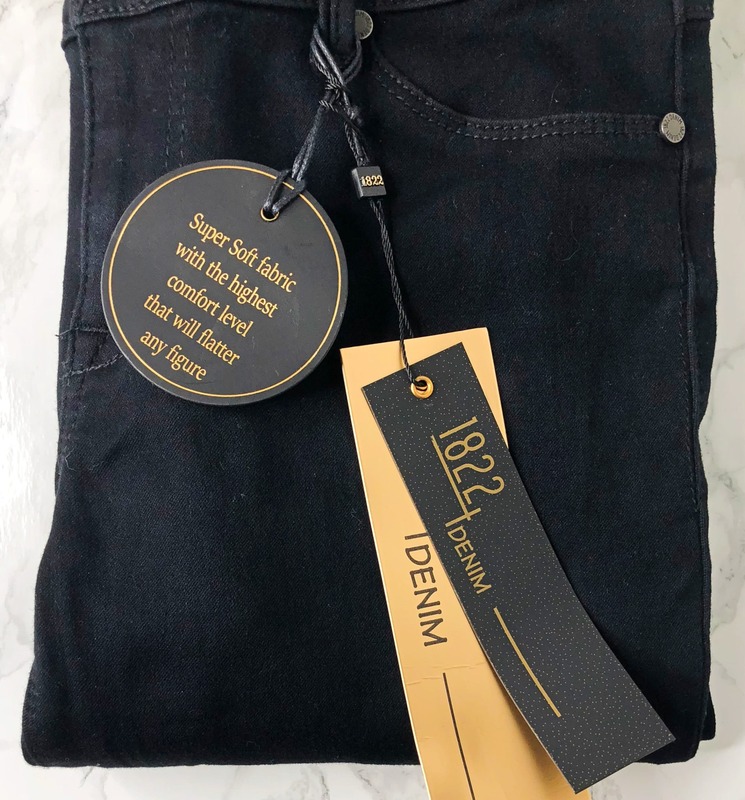 That said, these black jeans from 1822 fit great! Sadly, they were out of my price range. Although most high-quality jeans like this cost around $40 or even higher, I’m always able to find sales to make them a better deal. The next top I got is from Nike. It’s a pink, lightweight tank top. Although it was adorable, it was too pricey for me to purchase. It cost $30 for a little tank top. 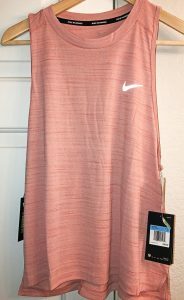 I love Nike products because they’re always high quality, but I could purchase a tank like this at their outlet store for less than $20! 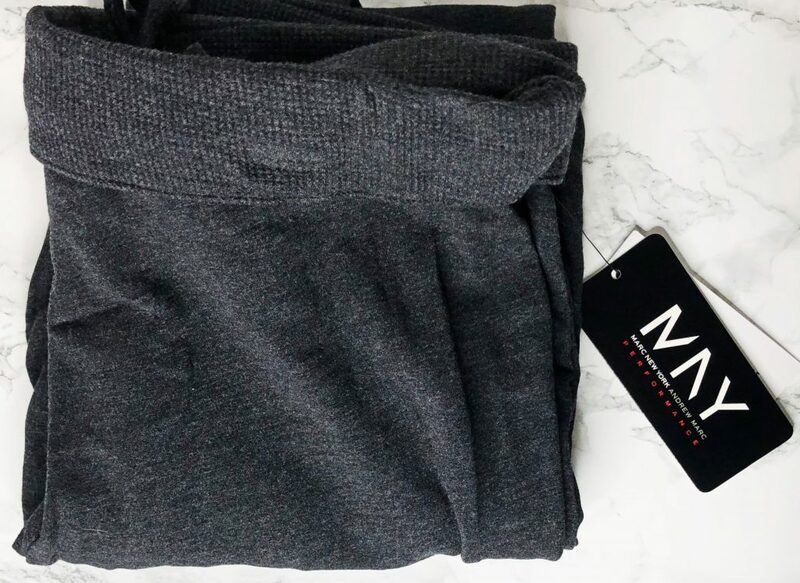 These felt amazing—they’re the softest pants I’ve ever worn! I would definitely purchase these if I allowed myself to spend $50 on sweatpants. They would be perfect to wear out in cold weather or even to sleep on cold nights. As for coupons and deals, there’s only one way to save money on the clothes you decide to purchase: buy them all! When you purchase an entire fix, you get 25% off. This is a pretty good deal, but for me, it’s unlikely that I’ll want to keep everything. Although there aren’t coupons, they do offer the ability to try your first shipment out risk-free! If you don’t like anything in your first fix, then you can easily reach out to their customer service and get the styling fee refunded. It’s a great way to try it out if you’re wary about the price of the clothes, the types of clothes, whether they’ll capture your style well, or anything else. Clothing subscription boxes have been growing at a very quick rate! Because of this, there are many different kinds emerging—there are other stylist services like Stitch Fix, clothing rental services, membership clothing websites, and so on. I’ve included a few different kinds since there are so many to compare with Stitch Fix! This is a fantastic clothing rental service. For a set monthly fee, you can receive a certain number of clothing and accessories in each shipment. You get to keep this shipment as long as you want. When you’re ready for another, you ship it back in the mailer bag they provide and they send out another. You can even pick out your clothes from their collection (this way, you know you’ll get items that fit your style). Their monthly prices are much more reasonable than similar rental subscriptions. My Le Tote reviews share more information about how you can try this subscription out for free! 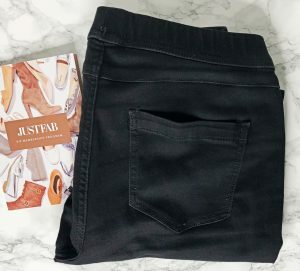 If you’d rather pay for clothing that you can keep, JustFab is a great option. It’s essentially a regular online clothing store, except they offer a membership to get access to sales and exclusive prices. VIP members are charged $39.95 each month, which is used to purchase anything you’d like from their website. You can skip or cancel whenever you’d like. The best part about this is their fantastic sales and introductory deals—for example, my first pair of shoes from JustFab cost me under $15! These are only two other options. 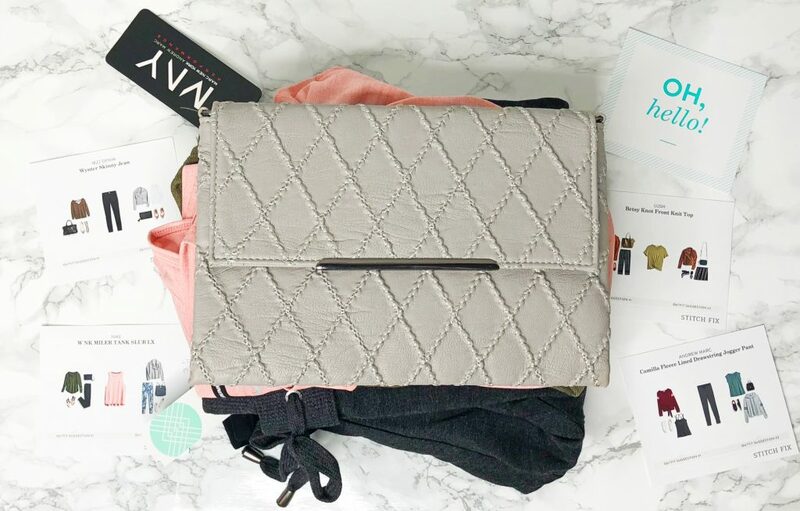 If you’d like to see more, we have a list of the best clothing subscription boxes, which has plenty more to compare! Overall, I was pretty happy with this month’s Stitch Fix. The only thing I disliked was the high prices of a couple of the items since I requested $35 or under (I did this in the section where you can leave a note for your stylist). They’ve been able to provide this in the past, but I completely understand that it might not be possible to get every item within this price range and fit my style. Even so, a couple of the items I got were under this price.